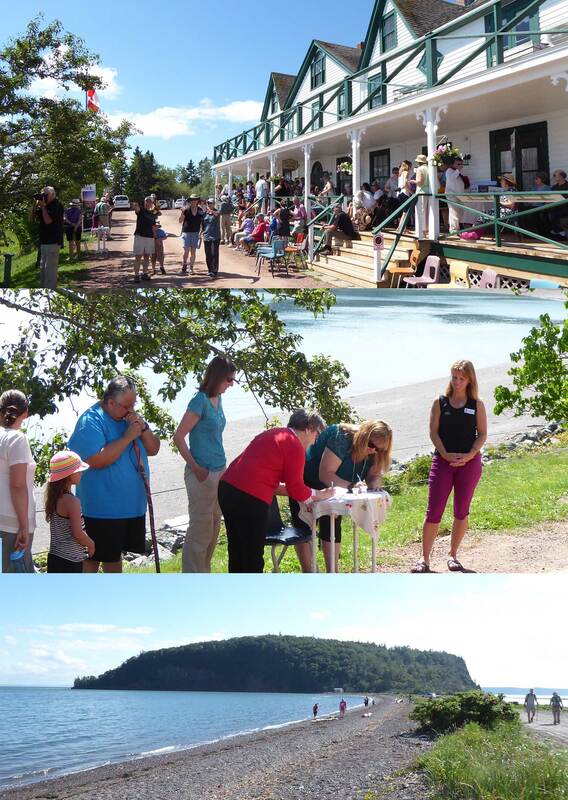 Yesterday I attended the dedication of a new NS Nature Trust property on Partridge Island in Parrsboro. (View Press Release.) 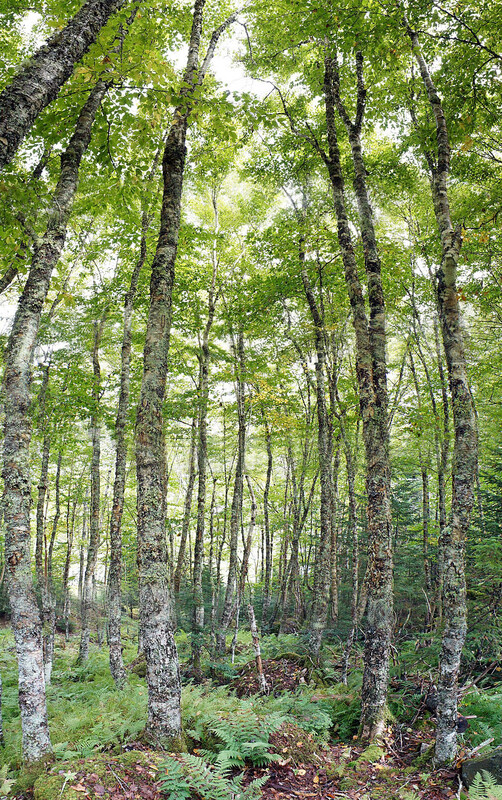 The presence of a healthy stand of 70% yellow birch is a celebrated feature of the property and the island. Retired DNR forest pest specialist Bob Guscott told us that it likely dates from the birch dieback of the 1930’s and 40’s or perhaps earlier. 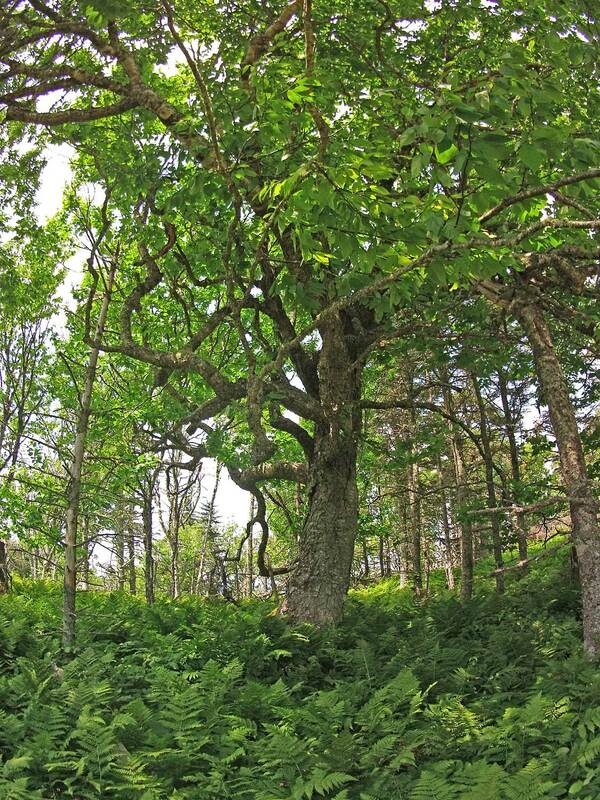 He said such stands are now unusual on Nova Scotia islands, and even on the mainland near the coast. 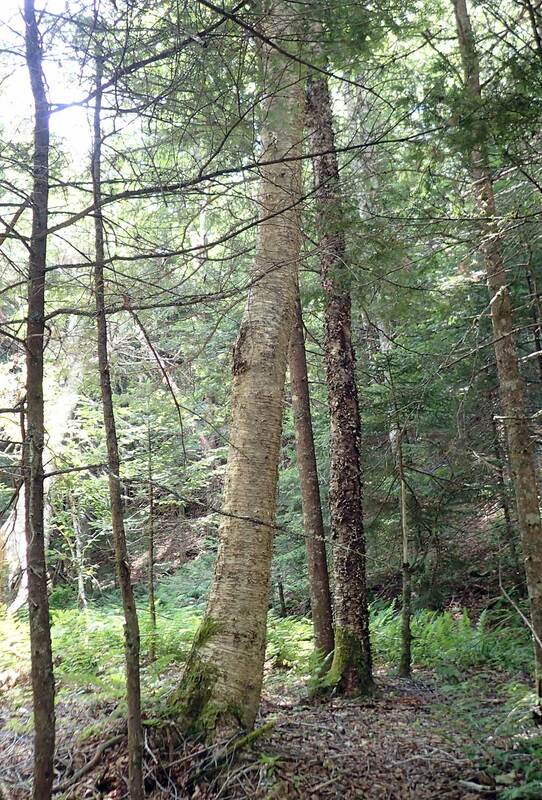 I have viewed a significant coastal stand in the Ship Harbour area (Eastern Shore), another in a sheltered coastal area of the Bay of Fundy, and some very large yellow birch on Troop Island (which clearly date from before the die-off)… but ‘agreed, they are not common, especially on the islands. 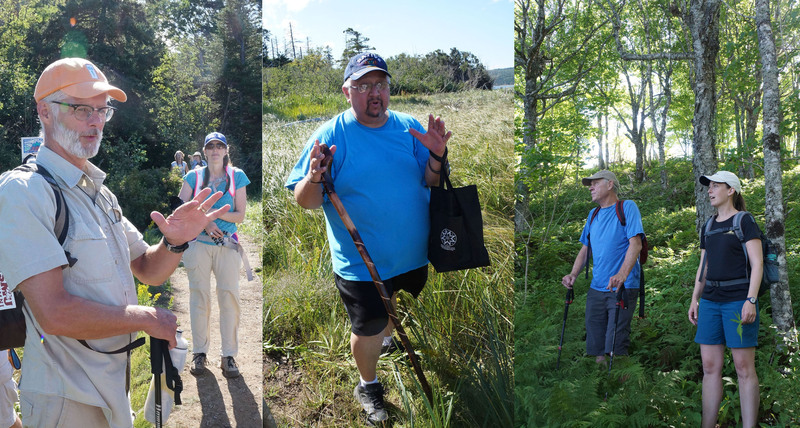 Gerald Gloade, artist, educator and Mi’kmaw storyteller at the Mi’kmawey Debert Cultural Center told us that Partridge Island is a traditional gathering place for the Mi’kmaq. It was called Wa’so’q, meaning heaven, so named because it provided for all of their needs. (His family was forcibly removed from the area.) The many Mi’kmaq uses of yellow birch range from twine and thongs and snowshoes to medicine, and in more recent years hockey sticks including the oldest known hockey stick!. 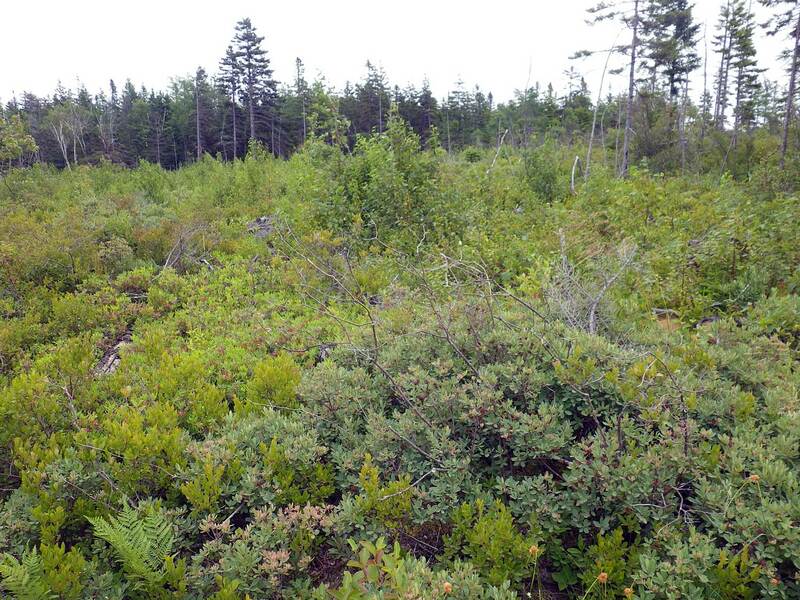 2nd successive clearcut in Cumberland Co. viewed in Aug 2016. Shipbuilders liked yellow birch which is very rot resistant in seawater and especially sought curved pieces for the keel. Two-hundred and fifty-two wooden vessels were built in Parrsboro and this town supported a strong sawmill industry into the 1960s. Then, as one resident put it, the land was clearcut in 25 years (following the deals with pulp and paper giants) and it’s now on its 2nd clearcut. 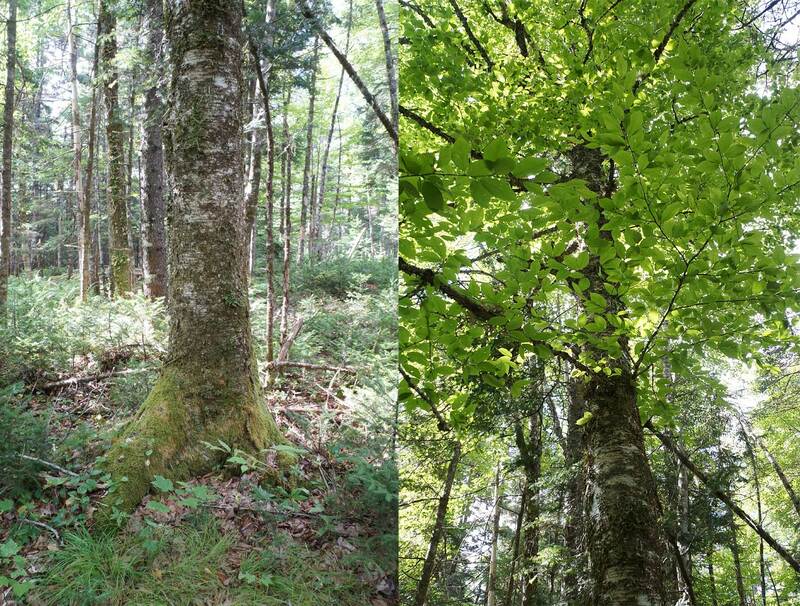 Today, big yellow birch are far and few between and are further threatened by even shorter rotations under biomass forestry. Yellow Birch, Sand River Valley, Raven Head, Aug 2016. Here the bark has the yellow hue implied by its name. 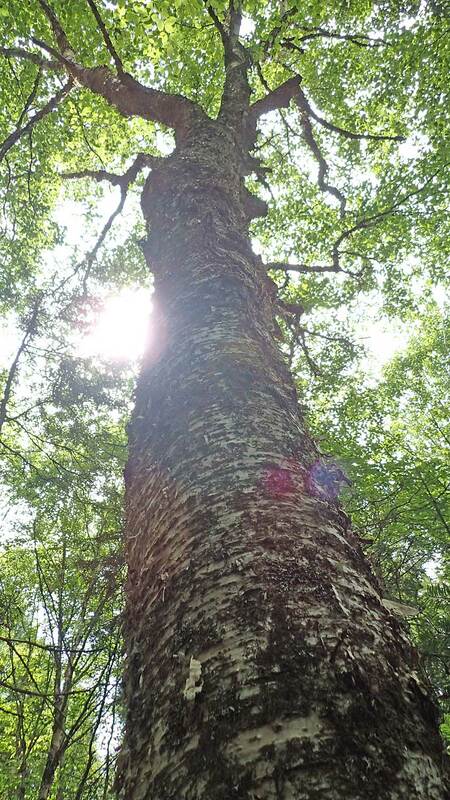 Paper birch is fast-growing, showy, beloved of all; a tree of open sunny spaces that mixes with other sun-lovers, hates wet feet, lives fast and dies early. 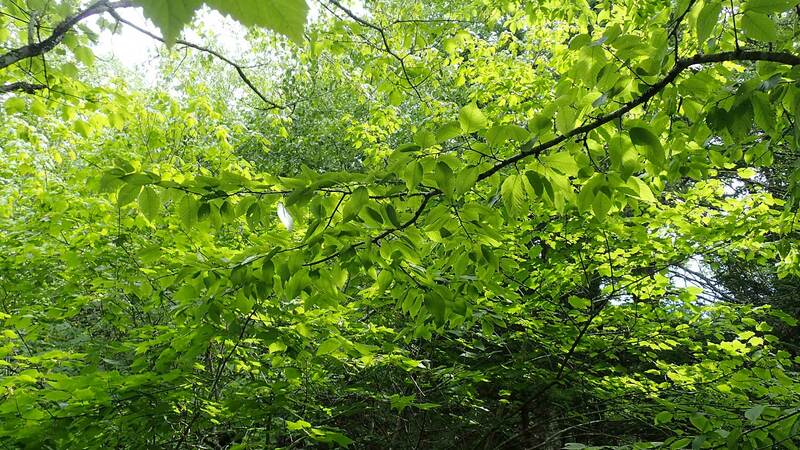 Yellow birch is chuncky, slow growing, a tree of damp, shady ravines, of swamps and rocky hillsides. It grows slow and dies old. 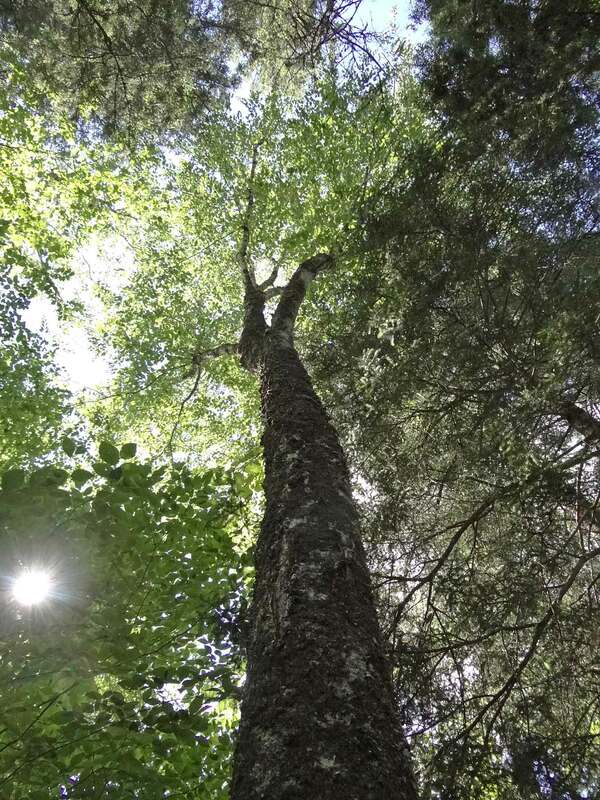 For company it prefers other shade lovers like sugar maple, hemlock, red spruce and beech – that club of elites we call the Acadian Forest. 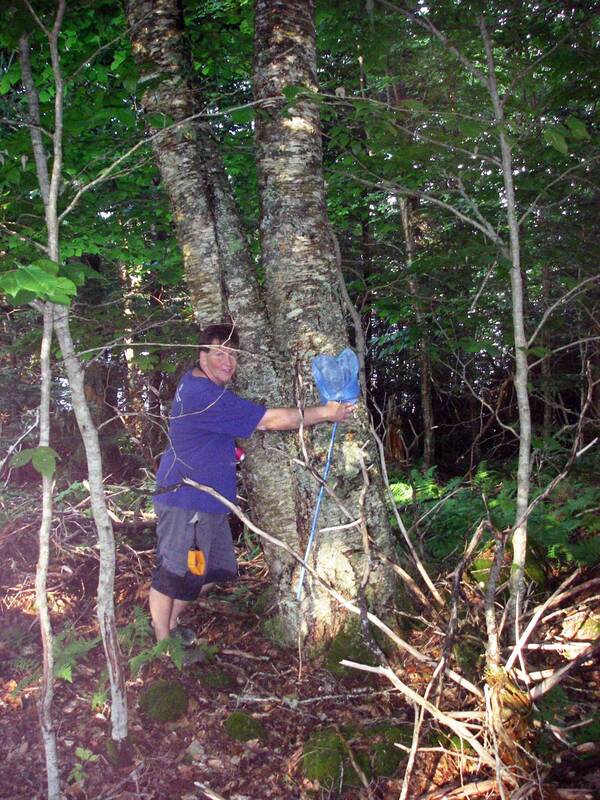 Its bark is so rough and gnarly, especially on older trees, people hardly know it’s a birch. This entry was posted in Biophilia, Conservation, Natural History. Bookmark the permalink.